RP Construction Services (RPCS) is celebrating the success of Pine Gate Renewables and NARENCO on their recent project completion. 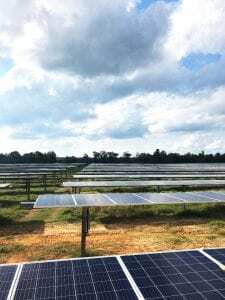 Pine Gate Renewables, a national utility-scale solar developer, owner, and operator, energized its Peony solar project in Orangeburg County, South Carolina, last week. 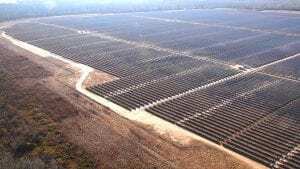 RP Construction Services (RPCS) designs and builds ground mount solar projects using the industry’s gold standard for quality, the Array Technologies DuraTrack® HZ v3 single-axis tracker. With over 550 MW and over 260 projects completed or under construction throughout the United States in the last few year, RPCS provides full turnkey service and support for the industry’s most bankable and reliable tracker. RPCS’s expert knowledge of Array Technologies’ trackers ensures world-class turnkey project assistance including site layout optimization, ancillary engineering services, tracker and foundation procurement, and complete mechanical installation. The team at RPCS provides reliable support at every step of the project, delivering a level of quality and efficiency that parallels Array’s market reputation. For more information about RPCS, please visit rpcs.com or call us at 831.620.2188.